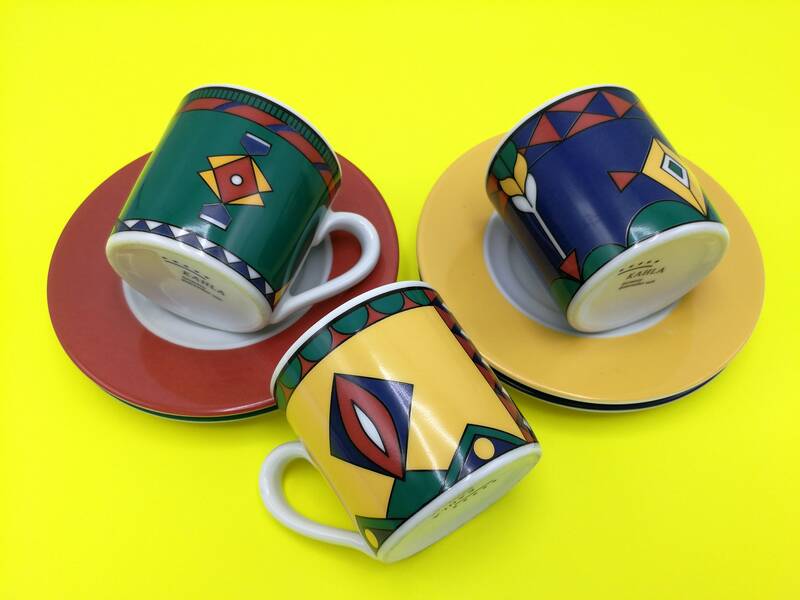 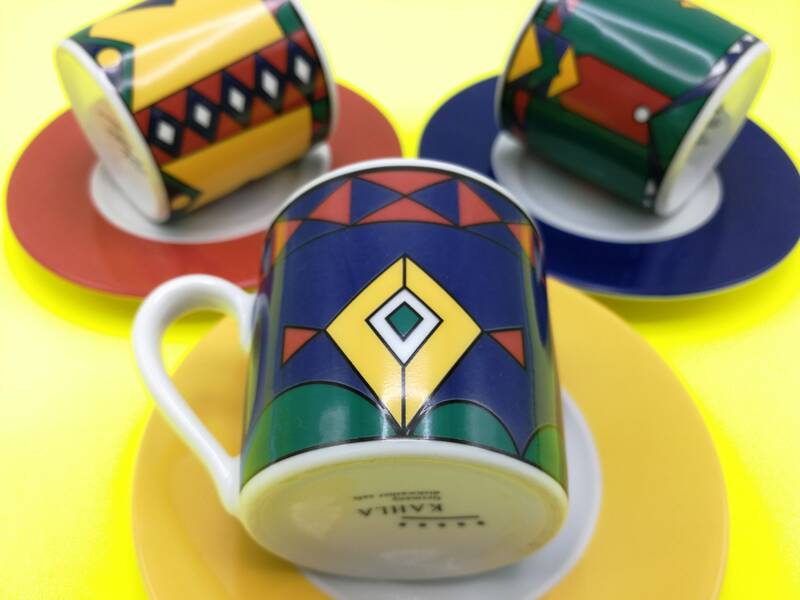 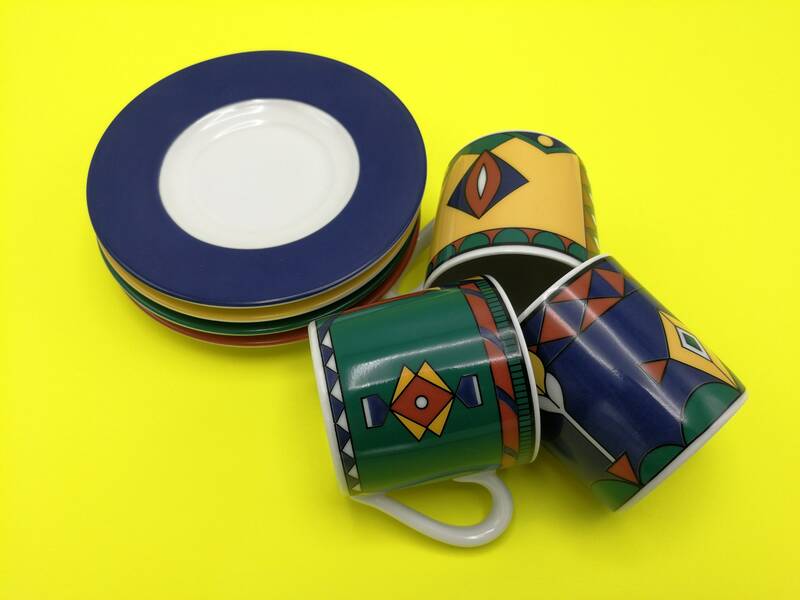 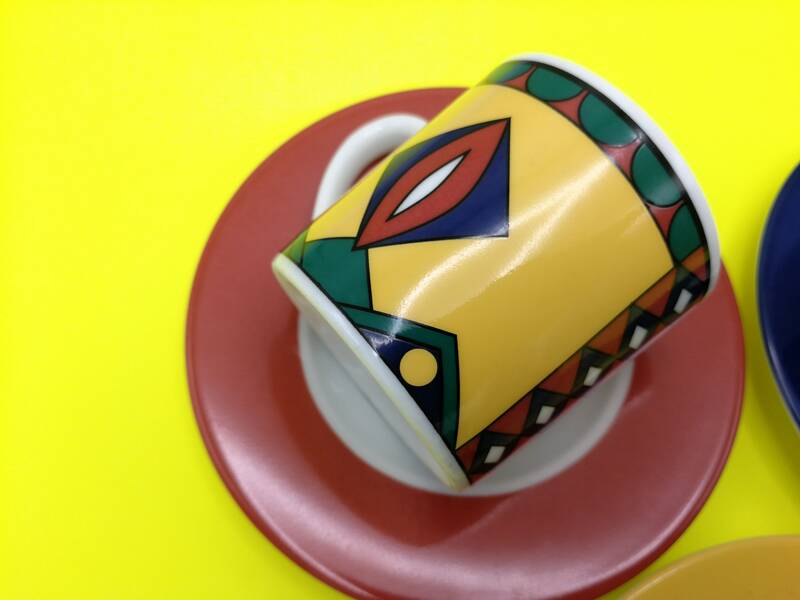 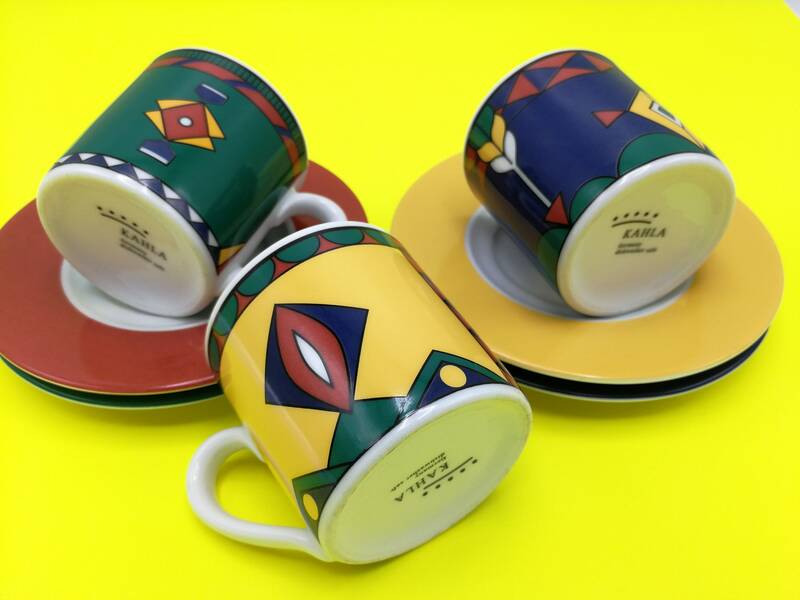 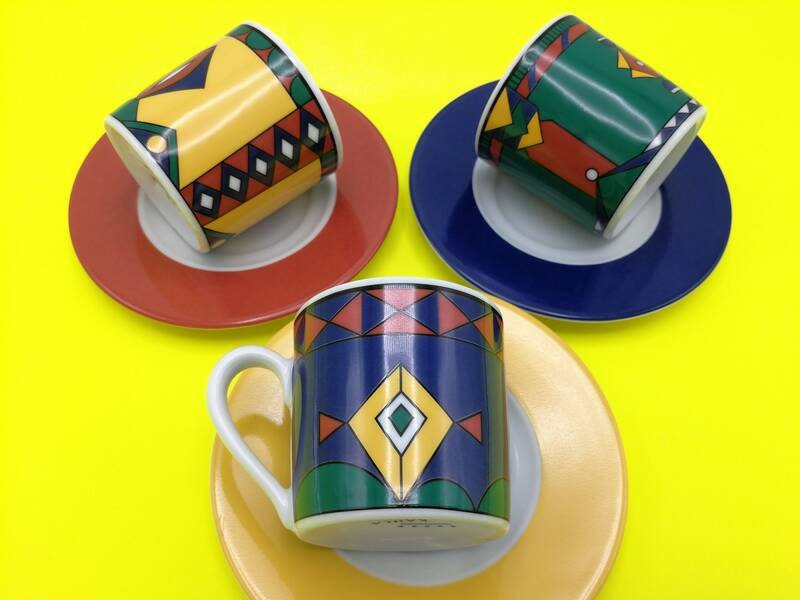 This is a great little set of three espresso cups by German factory Kahla, probably made in the late 80s or early 90s. 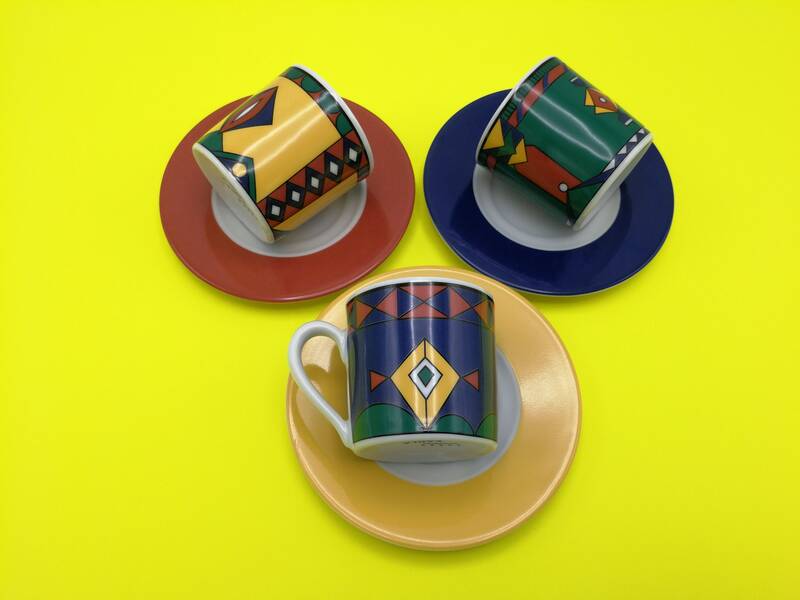 The decor has a very colorful memphis milano vibe. 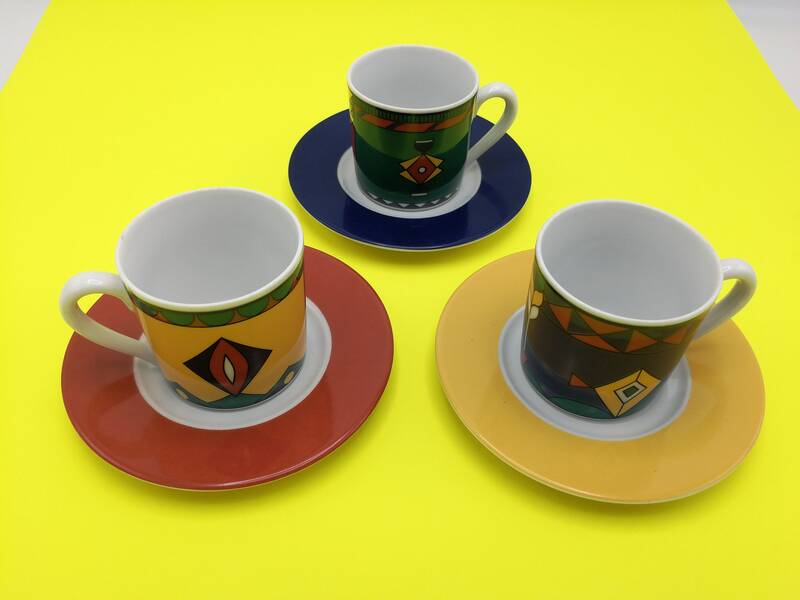 A joy to drink from! 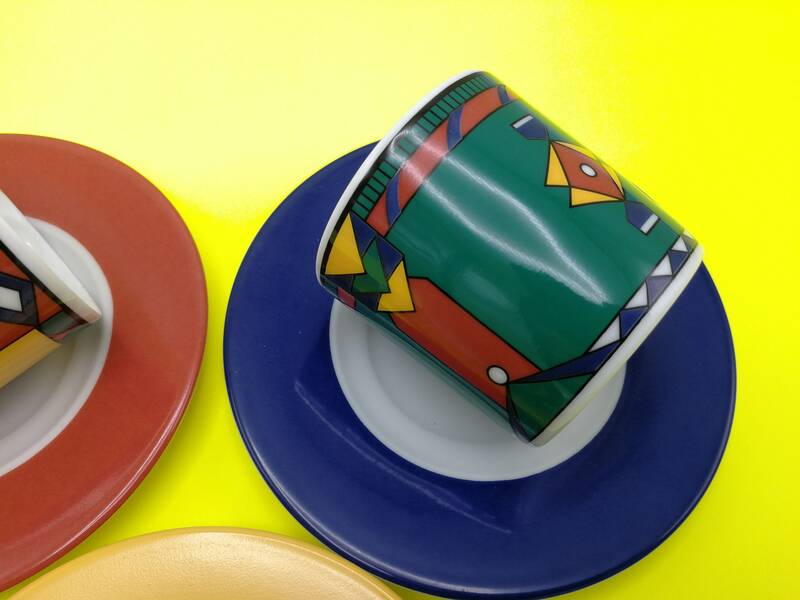 We'll throw in one saucer for free.